I am a highly experience­d (14 years) award winning Profession­al Home Cleaner with proper knowledge and have long term clients. Mainly General Home Cleaning suitable to client's requirements and needs, free quotation provided. Central to West Auckland only. Currently have vacancies for 2 or 3 clients during the normal working week. Services provided on weekly, fortnightly or monthly basis. Can also do a fuller spring-like clean including oven, fridge and windows if and when required and sometimes recommended. I have set standards and quite often a spring or a fuller clean may be required then a regular clean (as per services noted above) for the best service possible. All can be fully discussed upon a quotation. Being GST Registered, all my fees - quotes are GST inclusive. 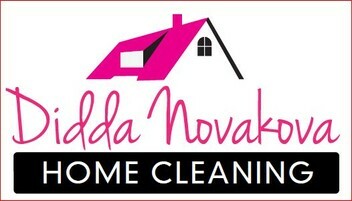 Thank you so much Didda for the fabulous job you did cleaning our house - you are amazing!!!!! Everything is sparkling and your attention to detail is very evident. I am so happy!!!! Didda does a great job cleaning our place. She is trustworthy and a good communicator. Our shower has never been so clean. We highly recommend her. Thank you Didda!